At his company’s 50th anniversary, Milt Peterson celebrates with a succession plan and projects in the pipeline. 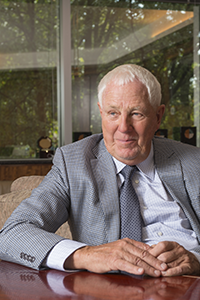 At 79, Milt Peterson is white-haired, energetic and happy to share the wisdom he’s gleaned after 50 years in real estate. He still reports to one of his company offices every day — perhaps for fewer hours — but don’t mistake that for retirement. For Peterson, retirement is a dirty word that conjures up someone with a slow mind. 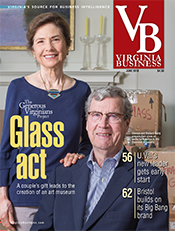 While he has a succession plan in place, this iconic Northern Virginia developer remains chairman of The Peterson Cos.
For five decades, Peterson’s Fairfax-based company has helped transform Northern Virginia as the region morphed from a sleepy bedroom community for federal workers into an international business hub. Today, the company is expanding into new markets and has several projects in the pipeline. In other words, a big-name, resort-like persona. Located along prime waterfront on the banks of the Potomac River just over the Woodrow Wilson Bridge in Oxon Hill, Md., National Harbor was like a golden apple waiting for harvest. Peterson watched while other developers tried and failed to come up with a viable plan. His idea was to build a new minicity with a vibrant town center that would serve as an extension of Washington, D.C.
National Harbor opened in 2008 with an anchor tenant, the Gaylord National Resort and Convention Center. The timing proved to be rocky with commitments for condos falling through after the start of the Great Recession in late 2007, which sparked one of the worst slumps ever for residential housing. Still, the project continued to go up with office space, retail, hotels and a public marina. Peterson candidly admits that National Harbor lost money for years. “We’re recovering now,” he says. According to his company’s data, National Harbor employs 7,000 people and attracts more than 12 million visitors a year. They come to stay at the Gaylord or other hotels, to shop at the 340,000-square-foot Tanger Outlet Center, to ride the 180-foot-tall Capital Wheel in gondolas that offer sweeping vistas of the Potomac and the D.C. skyline, or to dine at one of the venue’s 30 restaurants. Some people also live at National Harbor in condominiums, town homes or new luxury apartments at The Esplanade that opened in May. Soon, visitors will be able to gamble, too. MGM is opening a $1.3 billion resort and casino in fall 2016, with a 308-room hotel, 3,000-seat arena, a 26,582-square-foot spa and 12 restaurants in addition to more than 3,000 video lottery terminals and 160 table games. The decision to permit gambling at one of his projects was not easy for Peterson. A lifelong Methodist, he says his company has donated land and helped raise more than $22 million for the United Methodist Church. Yet, the company moved forward with the casino on terms that Peterson says preserved his values. MGM builds a grand resort with amenities that appeal to more than gamblers. There’s no question, he notes, that the MGM National Harbor Resort & Casino will draw more people and tourists to National Harbor, helping to secure its future as one of Peterson’s legacy projects. Still, Peterson says he made sure the casino was located away from the family-oriented main thoroughfare of National Harbor. Plus, his family made a decision that their company would not participate in any take from the casino’s revenues. “We own the land. They own the building. We have no ties to their profitability,” he says. At full build out, National Harbor is expected to have 7.3 million square feet of development, including 2,500 residential units and 1 million square feet of Class A office space. Looking back, those numbers are a world away from where Peterson started in the 1960s. “We started with nothing,” he recalls. Married to his high school sweetheart, Carolyn Skyllberg Peterson, he began selling homes part time on the side with Yeonas Development and did well. By 1965, Peterson started his own residential development company and later joined John Tilghman “Til” Hazel Jr. to create the Hazel/Peterson Cos. before forming his present day company. 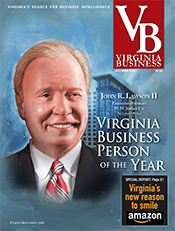 His companies have worked on such projects as The Burke Center and the 460,000-square-foot Tysons-McLean Office Park. Today, 150 people work for the Peterson Cos., and it is one of the largest privately owned development companies in the region. Over the past 50 years, it has developed more than 26,000 residential lots and built more than 34 million square feet of retail, hotel and office space. 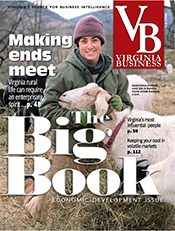 Still in the pipeline are more than 2,000 acres of land in Virginia and Maryland. 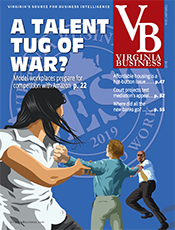 The company is doing new projects in places like Virginia Beach, where it has proposed a $100 million, mixed-use entertainment district on the site of the former Dome entertainment venue. Through the years, Peterson has received many awards, including a Lifetime Achievement Award from the Urban Land Institute, and he’s given away millions of dollars to charity. Even with the highest rents of any project in Prince Georges County — 630-square-foot studios go for $1,700 — Esplanade is 82 percent leased, says Bozzuto. Peterson will be the first to say that every successful organization needs a coach and a talented team to execute the vision. He says he can cut back on his hours, confident that the team in place will run the business smoothly. Peterson’s son, Jon, is a principal and chairman of the company’s executive committee while Taylor Chess, former head of the retail division, was recently named as the firm’s first ever president of development. 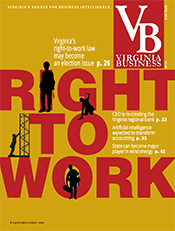 Virginia Business talked with Peterson at his company’s headquarters in the Fair Lakes development in Fairfax County. An edited transcript follows. 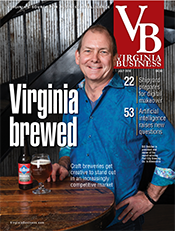 Virginia Business: What is the secret to your company’s long-term success? Peterson: I would say that the secret of any successful company, family, institution is getting teamwork and people working together because no one does it themselves … someone is leading the charge like a coach to bring talent together. Then, even if you have good talent, it doesn’t guarantee success. It’s those people working well together. VB: And you’ve been the coach leading the charge? Peterson: I have been one of the coaches. When you get into business or any institution, academia, whatever it is, there is usually the starter, but then the starter, he or she, brings other people on that have the talents that he or she … doesn’t excel in. And what the good leader does, he or she understands that which he or she is good at, and things they are not good at. Then they supplement it or bring someone else in who has that talent. VB: Do you still come to the office every day? Peterson: I do … what else would I do? My wife said she’d marry me for life but not for lunch. VB: So the company is still family owned in that all of your four children are working in some aspect with the company? 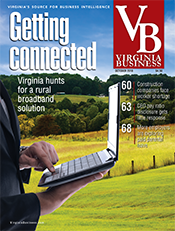 VB: Do you have a succession plan in place? Peterson: That whole thing is in place, yes. This company can operate very well without me or anyone else. In other words, when you have a good organization, you have it such that it doesn’t stop when you lose one person … It isn’t just a matter of succession. It’s a matter of good organization. 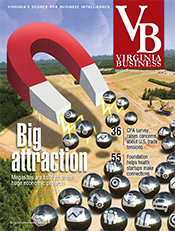 VB: The Peterson Cos. has done many projects in Northern Virginia and suburban Maryland. Looking back, what project was the most challenging for you? What project really stretched you? Peterson: Without a doubt, National Harbor. VB: Why was it such a challenge? Peterson: It was a tremendous challenge. It had been tried four or five times previously, and it was such a high profile property … It happens to have a mile and a quarter on the Potomac River, which is the most historic river in our country. It was so high profile when we took it on because the previous developer had tried to do a project that was sort of beyond normal or, I would say, reasonableness. They wanted to do a Philip Johnson 54-story building. Philip Johnson was an American architect [known for his post- modern style]. … A 54-story building incited not just attention, but alarm, and publicity and involvement by different agencies: the FAA, the federal government, the National Capital Planning Commission [the federal government’s planning agency for the capital and the surrounding region]. And then there were all the environmental issues with a mile and a quarter on the Potomac … In other words, there was now a separate layer that had to be dealt with. National Harbor had to be a very sophisticated project. It’s such a fabulous piece of property … The topography is perfect. You can see Washington. With a property like that you have a responsibility. If you aim too high, you go broke; too low, you are a bum. You have to bring out the potential of the property. You also have to be flexible. A good developer wants what the public wants. 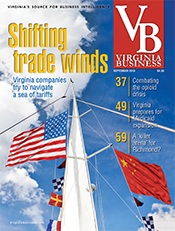 VB: Is it true that you secured $2 billion in financing from the Bank of America for National Harbor? Peterson: We borrowed a lot of money, but not $2 billion. The facts are, going into that project, we bought the land about 20 years ago. … We sold nine office buildings to get the capital. As for the financing, there were six banks involved. Bank of America was the lead bank. Wells Fargo was involved, too. 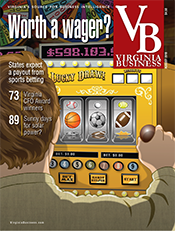 VB: For years, you resisted having gambling enterprises on your projects. Now MGM is investing $1.3 billion to open a hotel and casino at National Harbor. What changed your mind? Peterson: There was no way we were going to take a slots parlor at National Harbor. … If you have a high-end resort with all the amenities (not everyone likes to gamble) and you could get the best in the business, MGM, yes, we will do that. There’s a big difference between a slots barn and a Bellagio [a reference to MGM’s resort and casino in Las Vegas]. We elected for it not to be in the downtown National Harbor area, which is more family oriented. It’s about a quarter of a mile away, right along the Beltway … We could have had a percentage of the take [from the resort]. The family made a decision not to participate. We own the land. They own the building. We have no ties to their profitability. VB: How did you get the idea for National Harbor? Peterson: I was walking down the Las Ramblas in Barcelona, Spain, while on vacation, and I fell in love with it. I said, “I want one.” [Las Ramblas is a famous tree-lined, promenade known for its shops, restaurants, cafes, bars and street performers.] It seemed like an interesting way to get people into the area’s downtown as opposed to just the waterfront. VB: What prompted the decision for Peterson Cos. to get Hampton Roads? Peterson: It is farther away, but [the attraction was] the allure of being able to do a mixed-use development. We are place makers. We create places, not just developments. 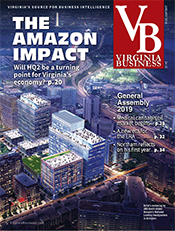 We try to put a personality into a development … Going to Virginia Beach is another opportunity for us for a public/private partnership like what we did in Silver Spring [a downtown urban renewal project in Maryland]. VB: Has NoVa changed much in the 50 years you have lived here? Peterson: A lot has changed. It used to be strictly a bedroom community for government workers. There was no industry here. People worked in Washington. Seven Corners was the first shopping center. VB: So how did you get into the development business, anyway? Peterson : I knew I would get into real estate in high school. I studied economics and got started at Fort Belvoir with the U.S. Army Corps of Engineers. I thought, “What’s going to happen to Washington, D.C?” I compared it to other world capitals, and I thought many of them — London, Moscow — they’re huge. They’re surrounded by huge metropolitan areas. The population of NoVa in the 1960s was about 50,000, 60,000. Now there are more than 2 million people. Plus, I had some family background in the business. My dad would buy a home; we’d fix it up and then sell it. I learned how to do some carpentry. I liked it. And I do like to make money. VB: Tell me about your philanthropy and why it’s important to give back? I know you’ve given millions to your alma mater, Middlebury College, and your family foundation recently gave $10 million to George Mason University. When Carolyn started with Life With Cancer more than 25 years ago [a nonprofit that focuses on cancer education and support], it had an annual budget of about $75,000. Today it has a $2.5 million annual budget. That shows what leadership can do.